Y'know, every time I've declared that I will not drink any IPA for a particular set period of time, it always gets cut short because something will come along the pique my interest and I think "Awww, man. I gotta taste some of that." The latest thing in the beer geek world is the "haaaaze, man." 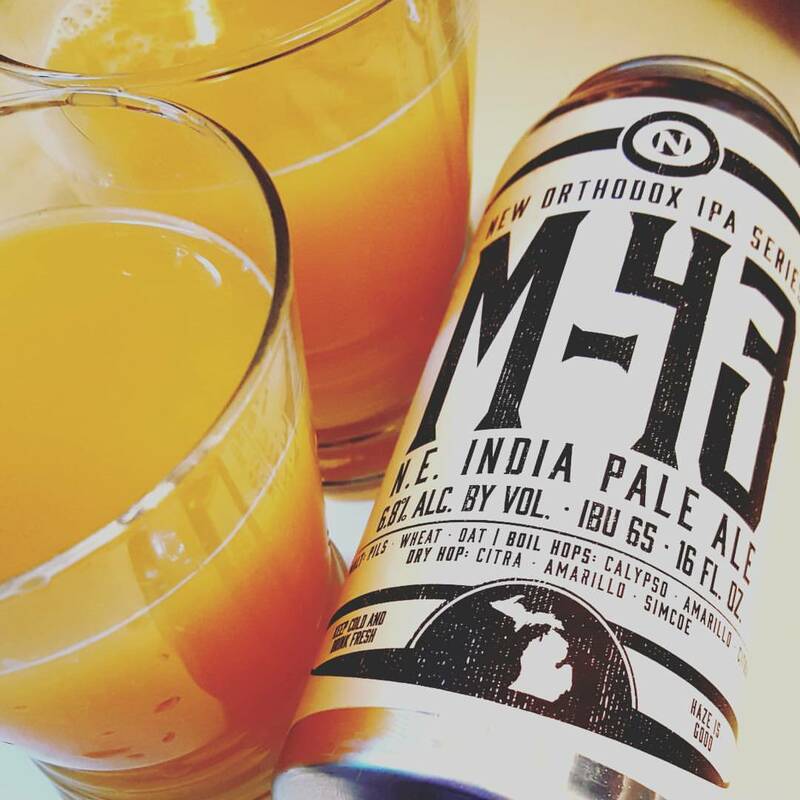 I haven't done much research where this latest unfiltered IPA trend started (apparently the Northeast as all of them carry an NE identifier on them) and this one from Williamston, Michigan beermaker Old Nation is is the first one that I've had a chance to try. Having not tried a N.E IPA, the color and aroma of this alone would be enough to understand why some of the brewers that are making them have been taking a juice angle in their description and naming of them. This one looks like orange juice and even after a few sniffs, it still smells just like citrus smoothie. Enough so as where you could tell people it is grapefruit juice and they'd believe you. Such things really hold over in the flavor too. The combination of hops here bring a clementine sweetness right out in the front. That's followed by a tangy juicy orange and mango tang then a grapefruit bite toward the end. The oats and the wheat in the malting process give it an earthy grain sweet pillow for the usually brazen mix of Amarillo, Citra and Simcoe hops to kick back on, making every sip of this interesting and complex without anything becoming overbearing. It's a hop bomb for sure (and at 6.8% not shabby in the ABV department either) but as where most just simply explode everywhere and wreck palates simply because they can, this is one is quite stealth in its target. I've had plenty a beer with tropical notes or fruit infused but none of them have been as lush in flavor or a fluffy in mouthfeel as this one has. I asked myself several times if I was really even really drinking a beer. I then decided this is maybe the kind of tasty brew they not only do up in the Northeast but maybe also on fun beer planets galaxies away.